The cordless tool market has improved greatly over the years, but perhaps the greatest advancement has been the sheer variety. And better yet, cordless tools from a given company usually share batteries. 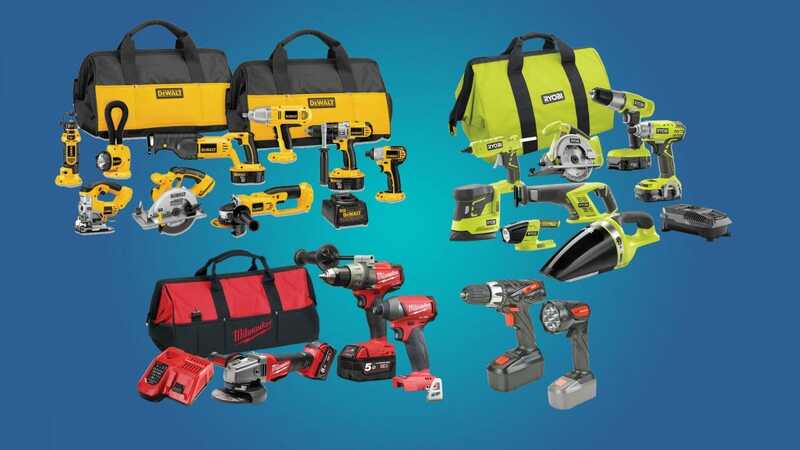 Here are the cordless power tool ecosystems that offer the best bang for your buck. Of course, when it comes to the “best” cordless power tool series, people have different takes on what exactly that means. Is it the selection? Price? 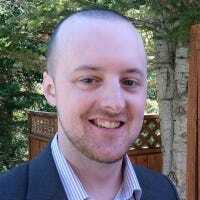 Overall durability of the tools? Perhaps a bit of everything? With that in mind, we’ve picked out a small handful of brands to fit these various categories, so whether you’re shopping on a DIY budget or shopping for the job site there’s something for everyone. Let’s get started! A fantastic middle-of-the-road brand when it comes to quality and price is Ryobi. Its ONE+ battery system offers over 100 cordless tools that you can interchange the same battery pack with. And you get different battery packs in various capacities depending on your budget and needs. Ryobi offers both tools and extra batteries at prices that are reasonable, yet still offer good-enough quality for the everyday DIYer whose making repairs on their house or putting together woodworking projects in the garage—you can get a power drill with two batteries for $130. I myself am a Ryobi man and can vouch for the durability. The tool selection is pretty extensive, and you’ll easily find the basic power tools you’d want, as well some other battery-powered devices that you thought you’d never need, like this freaking hot glue gun. 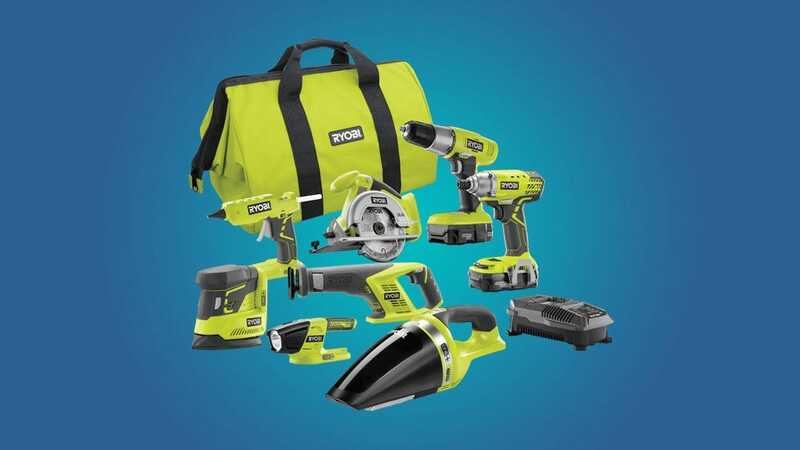 If you know exactly what tool you need, you can always buy just that item, but for someone getting started with building their tool library, this starter kit (and the ones that follow) are a fantastic way to jump right into owning a large and compatible set of cordless tools. 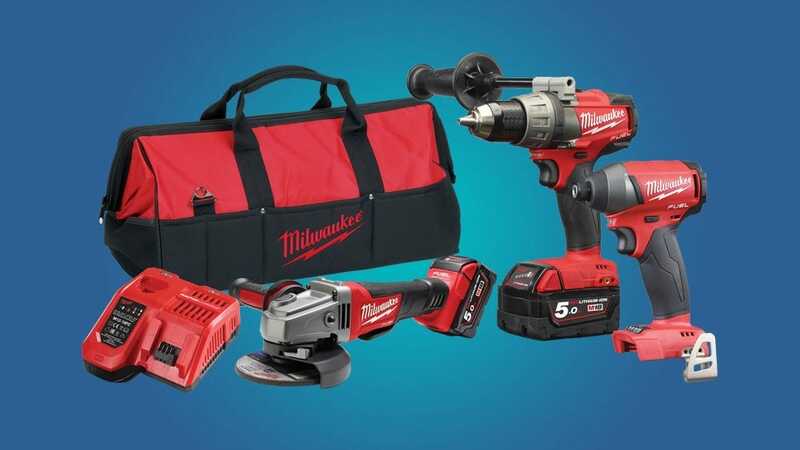 Now, if you’re someone who works in construction for a living and need the best durability and reliability out of your cordless tools, Milwaukee tools are a great option. The tools and batteries are generally a bit pricier than other brands, with a power drill kit with two batteries ringing in at $200. However, the quality of their tools is bar none, and I’ve met plenty of construction workers who swear by Milwaukee. You can also get smaller 12V tools and batteries from Milwaukee as well, which are geared more toward light-duty work, but you can also save a few bucks by going that route if you don’t need something too crazy, but still want the durability and quality—you can get a 12V power drill with two batteries for $130. If you want dive deep into Milwaukee’s ecosystem, though, you can grab this kit that will get you started with some basic projects. For the most part, all of the big power tool brands offer a huge variety of cordless tools, but when it comes to different voltages, DeWalt has everyone beat. The voltage of your cordless power tools is important to know, because the more volts you have, the more torque you can squeeze out of your tools, which is great for heavy-duty work. Usually most brands just have 12V, 18V, and maybe 20V, but DeWalt has 8V, 12V, 14.4V, 18V, 20V, 40V, 60V, 120V tools that you can choose from. You can also get many DeWalt tools for pretty cheap. 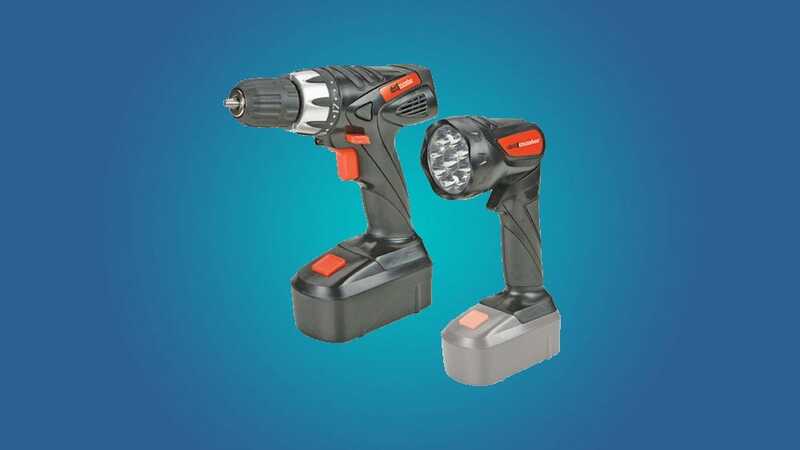 a 20V power drill with two batteries can be had for just $100. However, like Milwaukee, DeWalt tends to be on the more expensive side of the spectrum, with tools aimed at serious DIYers and contractors. 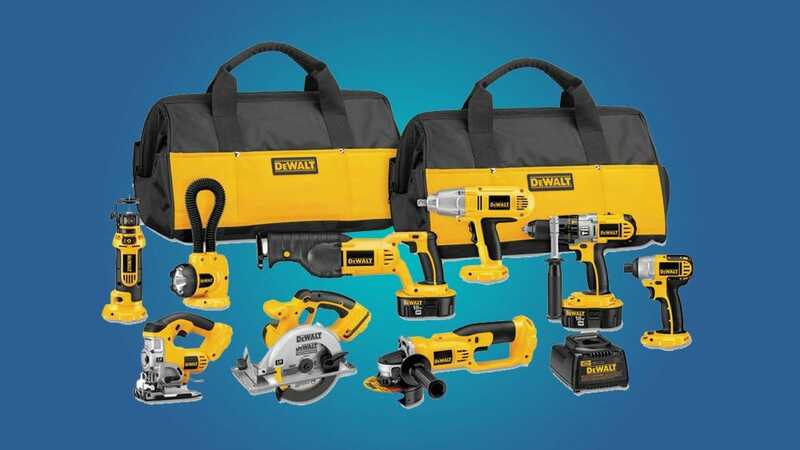 But if you’re interested in DeWalt’s stuff, you can grab a starter kit for a little over $500. When I say “cheapskate” here, I truly mean it. You can grab a Drill Master power drill with an included battery for just $20. Drill Master is an in-house brand of Harbor Freight Tools, which is a nationwide chain that sells all kinds of low-cost tools and supplies. They have a few hidden gems, but for the most part they’re known for their mostly low-quality tools—if you just need a tool that you’re only going to use a couple times a year, it’s a great bargain. However, Harbor Freight certainly isn’t the go-to brand for contractors and avid DIYers. With that said, though, Drill Master offers the cheapest cordless power tools around. And while they unfortunately still use older NiCd battery technology, the batteries are at least interchangeable with the few other Drill Master cordless power tools available. Unfortunately, Harbor Freight doesn’t sell a starter kit for its Drill Master tools and they only offer a few cordless options, but you can take a look at all they have to offer on Harbor Freight’s website. There are so many more brands of cordless power tools out there that we didn’t mention, like Black & Decker, Bosch, Craftsman, Hitachi, Kobalt, Makita, Porter-Cable, Ridgid, and more—many of which are fairly similar to each other, while others have little added features in order to separate them from the rest of the pack. The most important thing you should do, though, is try them out in the store to see which one feels best for you. This is because your tastes might be different from ours. For instance, while we recommended Ryobi for the casual DIYer, you may not like the feel of the power drill’s trigger compared to another brand. Or the cordless circular saw from Makita may feel lighter and more comfortable to you than the circular saw from DeWalt. In the end, personal preference plays a huge role when it comes to shopping for power tools. So try them out in person in order to get a better feel for which model makes the most sense for you, and don’t be afraid to go with multiple brands—sticking with one single brand/ecosystem is convenient, but it’s no fun if you force yourself to use a certain cordless power drill that you hate just for the sake of being able to use the same battery pack for your reciprocating saw.